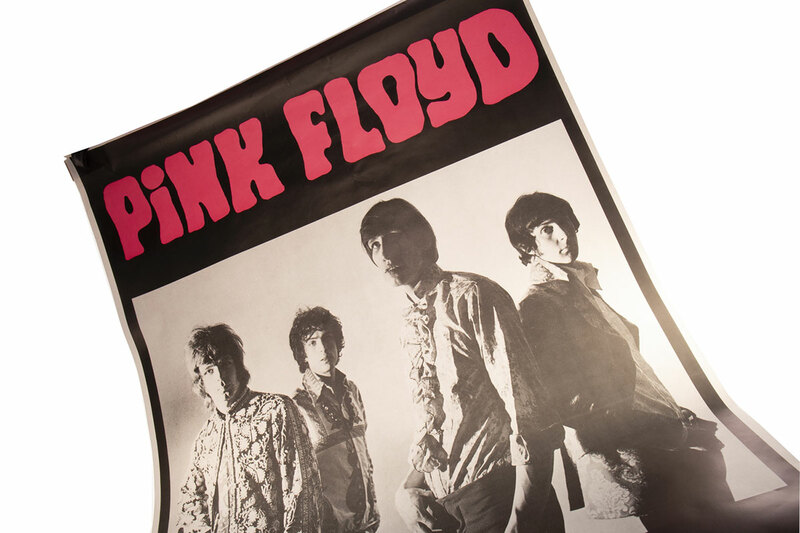 A Pink Floyd poster (lot 967) in The Works of Art, Medals, Militaria & Furniture Auction today has far exceeded its estimate. The promotional poster, which features a black and white photo of the band and their name in pink, is from their gig at the Blaises Club in London where they played on 28 February 1967. Consigned by a local vendor, the poster was estimated at £100-150. After competitive bidding the hammer fell at an impressive £900, to an online bidder based in Northern Italy. Measuring 137cm x 97cm, the large poster was in excellent condition which no doubt will have helped it to reach such a great hammer price. The time of the gig is also important – in 1967 the band was starting to receive serious attention from the music industry. After signing with EMI Records, the band released their first single ‘Arnold Layne’ which was recorded a few months before the gig and is mentioned at bottom of the poster.